Rated loads from 800 lbs. to 10,000 lbs. 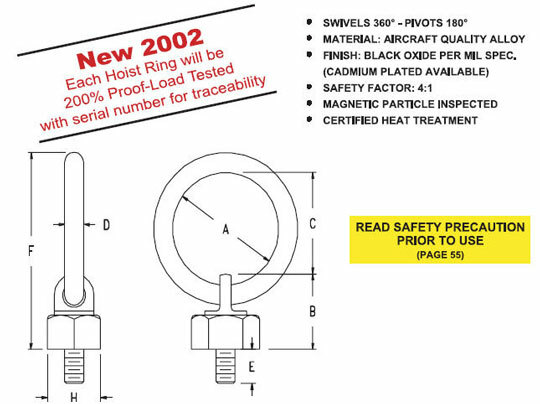 Aircraft quality “chrome moly”. Strong & tough!